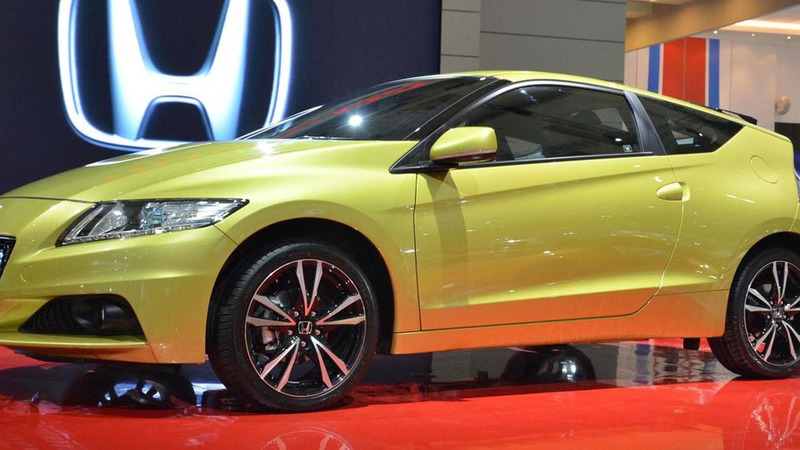 Honda has quietly unveiled the 2013 CR-Z at the Indonesia International Motor Show. Details are limited, but the model features a new front bumper, a revised grille and restyled lighting units. There's also a new rear diffuser and 17-inch alloy wheels. Interior changes are limited, but reportedly include a revised tachometer and a new Plus Sport system which improves the engine's response at the push of a button. Speaking of the powertrain, the CR-Z features a 1.5-liter i-VTEC engine and an electric motor. When connected to a continuously variable transmission, it produces 135 PS (99 kW / 133 hp) and 172 Nm (127 lb-ft) of torque. However, models equipped with a six-speed manual transmission have an increased output of 136 PS (100 kW / 134 hp) and 190 Nm (140 lb-ft) of torque.